Prospect Hill Academy Charter School will employ restorative approaches for building positive school culture by facilitating the development of positive and meaningful relationships among students and adults in its school community, by creating safe spaces in the school environment for the exploration of identity and culture, and by employing culturally responsive, student-centered learning and teaching practices that frame school discipline and academic failure as opportunities for deep academic and social-emotional learning for students. 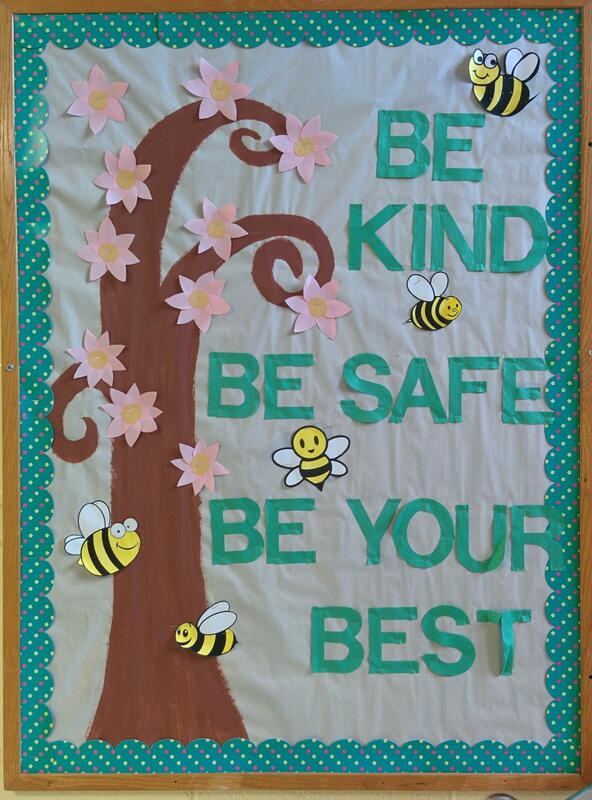 All students are expected to live up to the values of Be Safe, Be Kind, and Be Your Best in their daily actions and interactions. We believe that each student has the right to learn in a safe and friendly place, be treated with respect, and receive the help and support of caring adults. Students are expected to strive to live up to the PHA Way which states that “All members of the PHA community show leadership by being respectful, doing their best, and taking care of others.” Our rules and policies are in place to help students develop themselves as responsible citizens, one of the core tenets of our mission at PHA. Engaged: Students and teachers take pride in their work, and see their work in school as connected to the real world outside of PHA. Respectful and Safe: Because the environment is safe and consistent, students and teachers interact with one another respectfully and support one another in taking risks within the academic setting. Celebratory: Students and teachers celebrate not only victories and great achievements, but also the progress and outstanding effort of each individual and the community as a whole. 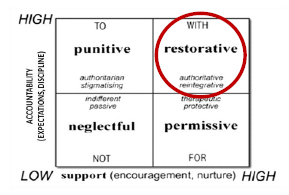 A restorative approach to student discipline combines that need to hold students accountable for their conduct with the support of the adults to nurture and encourage students to learn from their mistakes and continue to grow. In this context, school discipline uses behavioral learning interventions that allow students to reflect upon their interactions with others and themselves and to develop critical social, emotional and non-cognitive skills that help them to navigate their peer groups, their interactions with adults and the community outside of the school. The above graphic indicates that being a restorative school (that focuses on firm, authoritative and re-integrative practices) means that we seek to balance high expectations for student accountability with providing the necessary learning supports and accommodations for students. 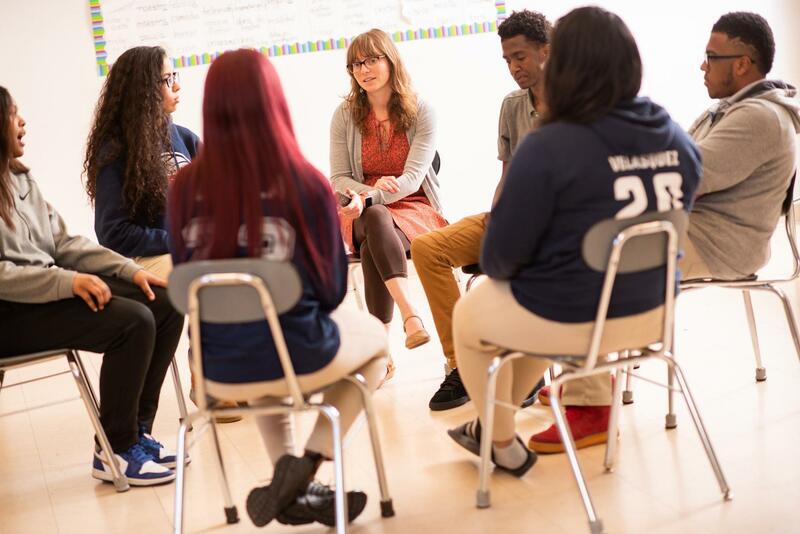 Through establishing a restorative school culture, we are best able to help students meet high academic and social-emotional learning expectations.